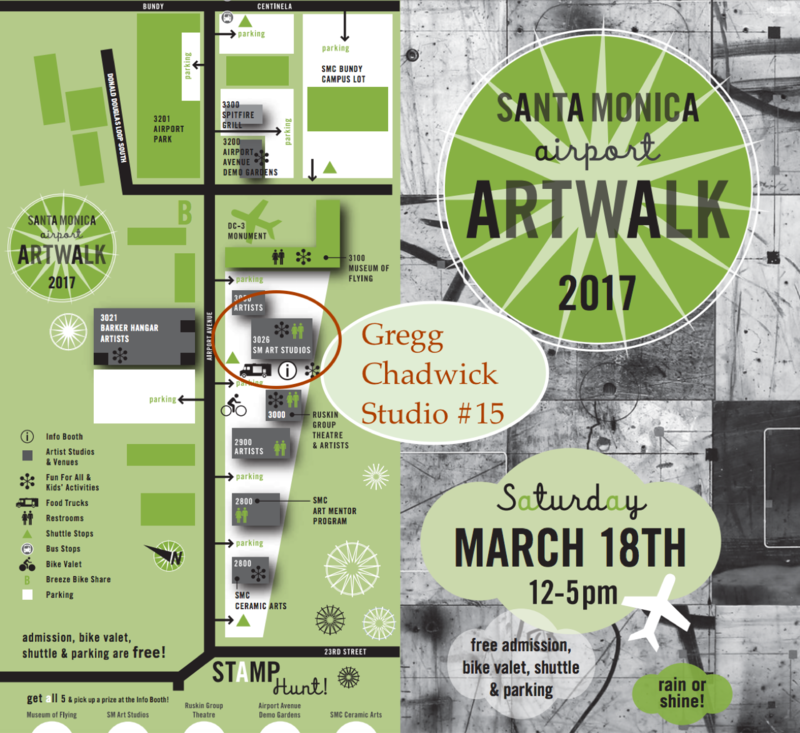 * Today - a special look at my paintings and monotypes at the Santa Monica Art Studios on March 18, 2017 from 12-5 pm as part of the 11th Annual Santa Monica Airport Artwalk. Featuring A Balance of Shadows from my 2004 solo exhibition in San Francisco and an overview of my artwork from 1999-2017, my studio will be a time capsule for one day. Many of the artworks on view have been loaned from private collections and are rarely on public view. In addition, a choice selection of paintings and monotypes will be available for purchase. Many of my paintings are inspired by poetry, history, and literature. When I lived in San Francisco and often on return visits, Lawrence Ferlinghetti's bookstore City Lights beckoned. A few years ago with my great friend Phil Cousineau on a book tour for our joint effort The Painted Word, we were able to stand together in a packed upper room at City Lights and express our deep admiration for Ferlinghetti's inspiration. My painting The City Drifts (San Francisco) seems to carry the feelings we all felt in the bookstore that night. 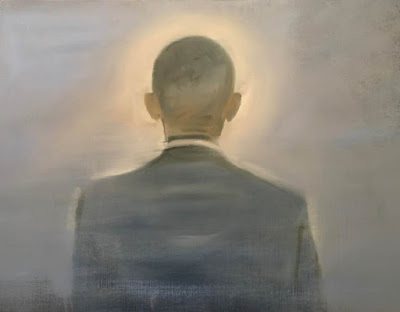 Ferlinghetti's poem The Changing Light (see below) embodies that wistful moment. 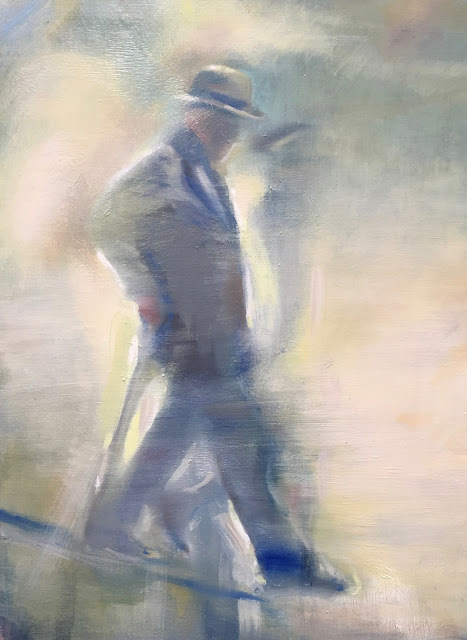 "The Changing Light" by Lawrence Ferlinghetti, from How to Paint Sunlight. © New Directions Publishing Corporation, 2001. 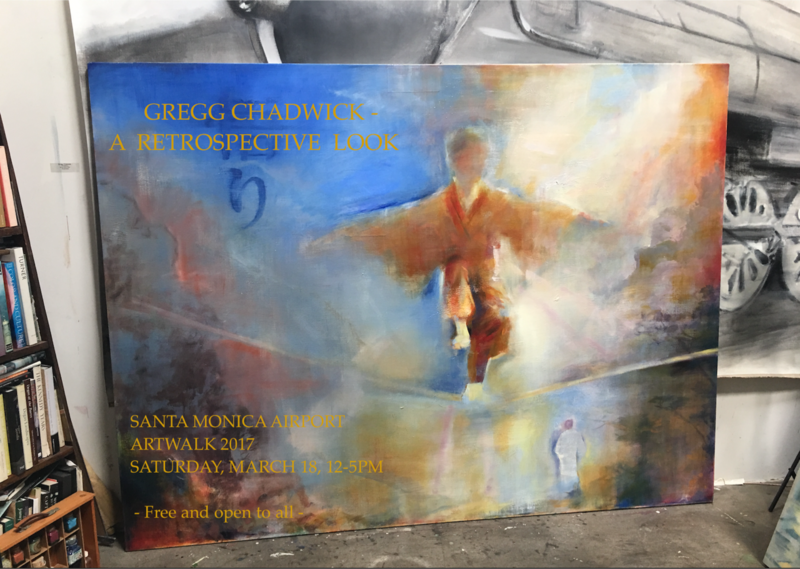 Copies of my brother Kent Chadwick’s wonderfully detailed book on my art will also be available for purchase. Also, I am happy to announce that I have designed a line of clothing and accessories based around my paintings for VIDA fashion. 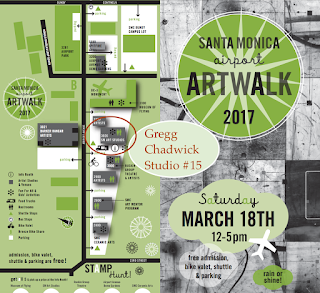 I am excited to invite you to a special look at my paintings and monotypes at the Santa Monica Art Studios on March 18, 2017 from 12-5 pm as part of the 11th Annual Santa Monica Airport Artwalk.